Love Energy Savings who compare business electricity and gas prices have built a system to compare energy prices in under 90 seconds. Love Energy Savings develop a new technology which compares the energy market in less then 90 seconds. Love Energy Savings who compare energy prices aspire to gain all businesses cheap gas and cheap electricity have developed a new piece of technology which compares the market in under 90 seconds. This helps business customers compare the energy market quickly and free of charge. Love Energy Savings help save on average £1050 on business electricity per Small Medium Enterprise per year. Love Energy Savings who are based in Bolton, Manchester understand that time equals money and believe that money equals savings and therefore thrive in offering a free service to all business owners helping them get cheap gas and cheap electricity. Business customers normally don’t get the advantage as the average domestic consumer and often spend hours researching or speaking to advisors trying to find the best deal. Love Energy savings now provide a hassle free alternative where customers can relax whilst there advisors research there switch and the news gets better, this can all be done in under 90 seconds. This system has been especially designed with the customer in mind. It was designed to make compare energy prices easy and stress free. Compare electricity prices with Love Energy Savings and be sure to get cheap gas and cheap electric. 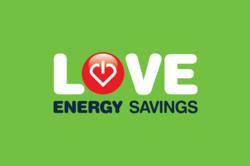 Every client that switches there electric and gas bills with Love Energy Savings saves money. Compare business electricity prices now to see what you can save. For more information about Love energy savings please visit http://www.loveenergysavings.com. Speak to an advisor on 08000932791. From Land's End to John O'Groats, Love Energy Savings know the lay of the land when it comes to utility suppliers. They know who's where, what are what, and when to make the best move to get their clients the biggest and best savings.